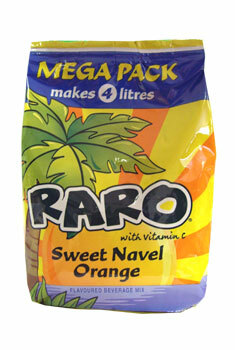 The raro Mega Pack makes 4 litres of juice. Price shown is for a single 320g packet. Food Colour(s) E110, E102, E124 may have an adverse effect on activity and attention in children.